The sights were beautiful. Ample time was given for each venue that was visited. Most of the guides were able to provide a detailed explanation of the areas that we visited. A suggestion would be to provide a guide who follows the driver throughout the trip as them report can be built with tourists as well of all the guides that were provided. We though the guide in Agra (Govind), Jaipur (Sunil), Udaipur and Delhi were better than the others. Over all we enjoyed our first time in the Northern part of India. We were welcomed by Amit very well and we had wonderful hotels provided to us, especially the Lalit Laxmi Villas Palace. The driver (Mr. Singh) provided to us was a safe driver and was able to sustain the number of hours on the roads starting from Agra. Thank you very much for arranging our tours in India. We truly enjoyed ourselves. The driver you arranged, Sanji was really a very pleasant and nice man. Our houseboat trip was truly out of this world. * Two (Delhi and Jaisalmer) of the guide chosen was really professional and tough, told us many things about all the tradition and culture. -the camel ride-too touristic and ---! -in Agra and Fatehpur Sikri, it was really fast! Congratulation, we’ll recommend your company to others. An amazing and unforgettable tour of Rajasthan. Prefectly and professionally organised without a single hitch. All timings and meeting points were arranged perfectly with Kuldeep our driver who made us feel safe and comfortable at all the times throughout the 15 days. Feeling that everything was in hand we ere able to sit back and enjoy our time here in India. It has been a fabulous adventure thanks to Max Holidays, especially to Amit and to Kuldeep without whom these 2 weeks wouldn’t have been quite the same. We hope to return to India sometime in the near future and will be sure to call upon you again. All our thanks for such wonderful memories to take home. Overall the trip was well organised, it met our exepectations, hotels were well chosen. Driver Mr. Vinod performed very well. He was always punctual, took good care of us, was a careful driver, kept the car in order and clean. We suggest to invest into him with the English classes, as he is a good person for the job, but only simple communication to have the possibility to talk more and him giving more information about the destination. –please give more accurate travel times. The way Delhi – Nainital took us 11 instead of 6 hours. Clear information would be suitable. The driver lacked a full set of information. He was always trying best, but he did not know about the change in hotels and guide in Rishikesh. Please make sure you inform your people, to leads to less confusion. The guide in Rishiskesh was alright, nice and fairly good English. Yet, he did not explain enough, he assumed we know e.g all the Hindi gods, ad this is why we needed him because we don’t! He did not accompany us to the temples. All in all we are satisfied with the trip! We are impressed by the outstanding organisation and service we have enjoyed. The driver Mr. Sono is excellent and we were very comfortable with him. The guide Mr. Rago of Jodhpur was the best of all. 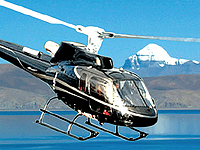 We are very happy with the whole tour of India with your company. We can recommend your company to all our friends. It took 4 months to plan this tour together with Ms. Heena and everything functioned very well. WE are very pleased with the choice of the hotels specially we liked Usha Bundela and Riverside resort in Orchha, but also hotels in Udaipur and Pushkar , only one hotel was worse than all the other in Jaipur, Little room and no view, but still good service. We appreciate your flexibility when assuring of small changes in the program. Almost all your representatives and all the drivers were very competent. Especially many thanks to our long time driver (from Udaipur to Khajuraho)Mani. He drive the car excellent in very difficult conditions. He took a very good care of us and was very service minded. We give him our best recommendations. Our only remarks concern tipping during the trip. We were totally confused. It seems that one has to give money to everybody on your way. We didn’t know how much one to give for f.ex, to the guides, how much to the drivers a day and so on. We would appreciate some recommendations from you in the future. Many thanks to all of you for the wonderful trip. Overall excellent tour met my expectations. Our driver was the best, very professional, courteous and helpful (Kuldeep) that was a very important part of the whole vacations. The car was very comfortable and no problem except AC could have been cooler in Thar desert. Glad we got Toyota Innova. Hanish met us in Delhi and was very helpful with schedule and information. Amit was very helpful in setting up the trip The guides in Bikaner and Jodhpur were the best, excellent knowledge and enthusiasm (Ragu and G2) Ganesh in Jaisalmer did not provided much information, seemed to want us to do a lot of shopping and was late both times we met him. The hotels were mpstyl greatm except Udaipur which has 2 nights and a disappointment. No wifi, ni internet at all, breakfast minimal/awful, bathroom primitive, towels old, beds small, no bottled wter in room. No way to heat water for tea /coffee in room. People were nice but hotel overall far below the standards of the other 2 star, view of the lake was nice but cusions dirty/old. No safety box only 1 pillow which was thin. So, get another guide for Jaisalmer and hotel for Udaipur. So, it was a wonderful trip and would recommend Max Holidays to others. Thank You. About Mercy Hotel, the hotel was fine, with a good room and bathroom. The location, however, wasn’t that great. We would have preferred to stay at Fort Kochi area. In what concerns Forest Haven, at Munnar, we believe it is important to clarify that if was a satisfactory clean hotel, with nice staff, although they didn’t speak that much English, However our perception was that it was a kind of Motel for young couples to celebrate their honeymoon. The location wasn’t that great and our bedroom didn’t have any view to the forest. Also the hotel didn’t have the facility worth staying two nighs. Our stay at Munnar was “saved” by our driver Mr. Wilson that took us for a very pleasant tour, in which we spent most of our day. Finally about hOtle Hindustan, the rooms are great and the hotel is very nice. The location however is a minus, as it far from the North Cliff where the beach and all the restaurant are. We would also like to praise and recommend Mr. Wilson, our driver, he had a good presentation, was always punctual, patient stopping everytime we wanted to take photos and explained several things in our way about Indian history, nature or traditions. Our next recommendation is the “chef” of our houseboat. His kitchen had always an open door for us and he adapted the food according to our taste. Our last praise is for Amit Dhingra, our contact with Max Holidays, he was always available to talk to us and solve any problem that might happen during our trip. 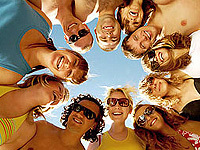 Our experience with Max Holidays was very good and we would recommend their services. We love it and highly recommend Max Tour ! The whole experience of our holiday from the initial planning stages, through various different itineraries and fine tuning of the final itinerary to the holiday itself has been excellent, mostly down to Amit’s patience, perseverance and organisation. Amit has excellent people skills. Through our many email conversation he gained a full under standing of our requirements and have fully met, exceeded our expectations. Amit’s skill were unvaluable when we arrived in Delhi on the 22nd March for which we are both very grateful. He dealt with Indian Airline issue extremely well; efficiently and with considerable patience. We look forward to working with him again for our next trip to India and we will highly recommend both Max Holidays and Amit when we sat back home. Thank you for a wonderful holiday experience. I really thank Sumita for planning a wonderful holiday for me & my family. The traveling in the Innova was very comfortable & the drivers given to us were very pleasant too. We thoroughly enjoyed the sightseeing in our schedule. The only drawback was the one night we spent in hotel Brown Palace in Srinagar was a real let down and were really disappointed with it but thanks to Sumita, we had to stay just one night and moved to a better accommodation the next day. So all in all, we had a very memorable holiday with Max Holidays. Thank you for all your help and cooperation. Many thanks for your email last Friday. We arrived back in Geneva on time on Friday morning after a very pleasant flight home. Of course we would have preferred to have stayed in India and just started the tour again from the beginning with Kuldeep. We had a wonderful time and cannot express just how happy and satisfied we are with the service we received from Max Holidays. The entire holiday was rganized to perfection and could not have been more of a success. Our driver Kuldeep was wonderful and we were truly sad to leave him at Delhi airport. He took care of us for the entire duration of the tour and made sure that we were comfortable and happy. We couldn’t have felt in safer hands and we couldn’t have felt any happier. Everything was timed well with the guides and with Kuldeep. We had nothing to worry about whatsoever. We just sat back and took in the sights of a beautiful part of India. We have wonderful memories that we will cherish. I will ensure to send you some photos by email as soon as possible. We have I of them so I just need to go through them all to select a few. It goes without saying that we will recommend your agency to any of our friends and / or family that wish to travel to India in the future. We personally hope to return to India in the next couple of years to visit the south and / or Nepal. We will be in touch. In the meantime Amit, I take this opportunity to thank you and Kuldeep personally for a wonderful and unforgettable tour of Rajasthan. First it was wonderful meeting you and your colleges in Delhi. Secondly, the entire trip went very smooth. All of the buses that you booked were on time, clean & very helpful. I am really very pleased with the services that you provided for us and I look forward to working with you in the future. Should you ever come state side you know who to call !